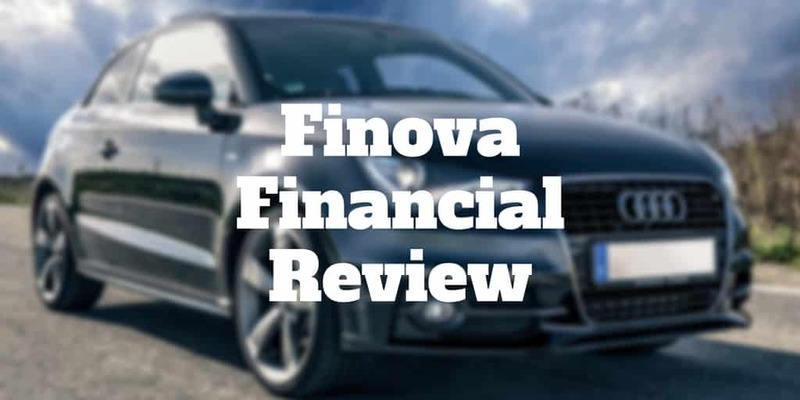 Finova Financial may not be a familiar brand name lender but in just a few years since launching in 2016, the company has raised $155 million from top tier Silicon Valley investors to provide fast, affordable loans based on the equity you own in your car. If you want a Car Equity Line of Credit (CLOC), Finova can provide instant approval decisions and same day cash funding. Once you are approved for the line of credit or loan, you have access to an online dashboard and can make payments via the web or mobile devices. With a successful payment history, you can build your credit score and potentially enjoy declining interest rate payments, as well as access to on-demand funding. Unlike other lenders, Finova claims that it is in the business of building relationships with its clients not transactions but before you apply for a loan you should know how much the auto lender will charge you. If you own a car or a truck, you can use your vehicle as collateral for a loan, which Finova labels as a car equity line of credit. Finova is designed for borrowers who might otherwise be tempted to apply for a high-interest rate payday loan. You don’t need to have an established credit history. In fact, no minimum credit score is required and you may be approved even if you only have a few years of credit history. Even a bank account is not needed because you can pay via MoneyGram but you will need to pay an additional fee if you choose that payment method. While the threshold for loan approval may not be stringent, you will be disqualified if you are in bankruptcy. Lenders who offer car title loans generally demand high interest rates and fast payback periods. Term lengths for Finova loans are comparatively longer and feature lower interest rate charges. Keep in mind before you apply that your car or truck is required as loan collateral so you do still risk losing it despite the more favorable pricing and loan duration terms than those of many lending alternatives. If you were to borrow $1,000 at the maximum APR rate of 30%, the cost of your loan would be $261.52 inclusive of fees payable to third parties, such as the $75 DMV Lien Fee and Document Stamp Tax. All fees are rolled into the life of the loan and are included in the finance charge. If you don’t have a bank account, MoneyGram fees can add up over the course of the year to more than half of the cost of the loan. You own the vehicle in your name and have a lien-free car title. You must have comprehensive and collision insurance prepaid for the term of the loan and Finova Financial must be named as an additional payee or you can purchase the Debt Cancellation Addendum. You must have adequate equity in your vehicle. You will also need to be at least 18 years of age, have a driver’s licence and utility bill for proof of residency, and show proof of income with a recent pay stub. The loan amount you receive is based on the value of your vehicle and your monthly income which indicates your ability to pay back the loan. Your loan APR rate will range from 17% to a maximum of 30% and you will also be required to pay a $25 credit investigation fee. ✅ Better Rates: Compared to payday loans, the APR rates between 17% → 30% are lower. ❌ Few States: Finova Financial is operational in only six states. ✅ Longer Durations: Car title lenders often impose short loan durations of approximately 6 months while Finova has longer term lengths to make it easier to make monthly payments. ❌ 3rd Party Fees: DMV fees, MoneyGram fees, and Document Tax Stamp fees can significantly increase the overall cost of the loan. ✅ No prepayment Penalty Fee: If you wish to pay off your loan early, you will not be charged a penalty fee. ✅ Low Credit Borrowers Eligible: Even if you have a low credit score or little credit history, you may be eligible for a loan. ✅ No Bank Account Needed: Even without a bank account, you may still be able to access a car equity line of credit. ✅ Lien-free Vehicle: You must own your vehicle lien-free to be approved and your vehicle will then be used as collateral. If you have no credit, can you still apply? Yes, provided you own your car outright and meet key requirements. Does Finova charge prepayment penalties? No, you can pay off your loan early at no additional cost. When do you receive your car title? After paying back your full loan, you will receive your car title. What states does Finova operate in? If you own your car or truck lien-free and need fast access to cash, Finova is a cheaper alternative to a payday loan and many car title lenders, plus it has more generous term lengths than most car title lenders. If you have a limited credit history or low credit score, Finova may be a good option with APR rates ranging from 17% → 30%, minimum term lengths of 12 months and no requirement to have a bank account. Still, it is best to calculate overall costs before signing up because third party fees can significantly increase overall loan costs, especially if you have a good credit score because you may be able to get more favorable rates from a bank auto loan.